Careers in sales can be incredibly rewarding when the right sales techniques are applied. Sales advice from successful salespeople is essential to anyone considering a new career in sales. In today’s video interview, you’re going to get great sales advice from a successful salesperson. 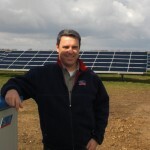 Click here to see the FULL INTERVIEW with Erik on SOLAR JOBS AND SALES! Sales advice is so important because small nuances in your sales techniques can determine whether you succeed or fail. So many people shy away from sales jobs because they think of the pushy, cheesy used car salesmen so often portrayed in the media. The reality is that we’re all in sales: we’re all selling ourselves every day – especially when we’re on the job market! If you look at sales as an opportunity to have a discussion, get to know new people and help them, you can remove the intimidation factor and actually have fun with the process. Sales careers can be found in any field from real estate to healthcare to recruiting to green energy. There are different types of careers in sales. Some sales jobs are business to consumer (you’re selling a product or service to the general public) while other sales jobs are business to business (you’re selling a product or service to a business entity). Although many of the same considerations apply, business sales (also known as commercial sales) can be more complex as there are likely to be more parties involved in the purchasing decision and use of the product or service. Either way, there are certain foundational sales attributes a salesperson must possess. One of those is understanding that sales is always about the potential buyer’s problems or challenges and their search for solutions to their problems or challenges. As a salesperson, you need to determine what those problems or challenges are and how you can help provide a solution that meets the potential buyer’s needs. The best business sales advice that Erik shares in the video is that a consultative sales approach is key to successful careers in sales. Careers Out There Host Marc Luber: OK, I want to go back to when you were talking about sales and how it’s a consultative process, it’s not shoving anything down anyone’s throat, it’s not meeting with the wrong person and getting in their face. I was in sales for years, either in technology or as a recruiter. Recruiting is a 2-way sales process. People often don’t understand sales. And it is a listening process and a consulting process. You’re there to help the other person, isn’t that right? Commercial Solar Sales Manager Erik Bakke: Totally. Absolutely right. If you don’t learn right from the beginning, that you need to shut up and listen, ask open-ended questions, get people talking, encourage them to tell you more about their issues, their problems, and what’s exciting, what they’re measured on, who is in their organization. You need to learn so many things about, especially in business-to-business sales, you need to learn so many things about the decision-making process in that organization before you can even begin to have a strategy or a tactic that will make any sense to get you the order. Otherwise, you’re just getting lucky if you’re making sales. You really are, just getting lucky otherwise. You need to find ways to help that individual who is either evaluating your product and will consult the decision maker within their organization or you need to get to the decision maker to help them decide quickly that you are the right choice. And that there’s a win in it for them not only as an organization but usually you have to find out what it is personally for that individual or group of individuals. What is it that will propel them in there – either their own self esteem or their personal goals – within that organization will help them to rise or gain stature. So it really is about so much more than just the great features that your product has and slapping them up on a power point and showing oh, this is why, these are all the great things, and these are the bad things that my competitor does. That’s a start, and you know, you need to have some of that, but you should have that in a flier that you could leave behind. You should spend more time listening, understanding to what’s important to that particular individual and his boss. Careers Out There Host Marc Luber: Very good advice.